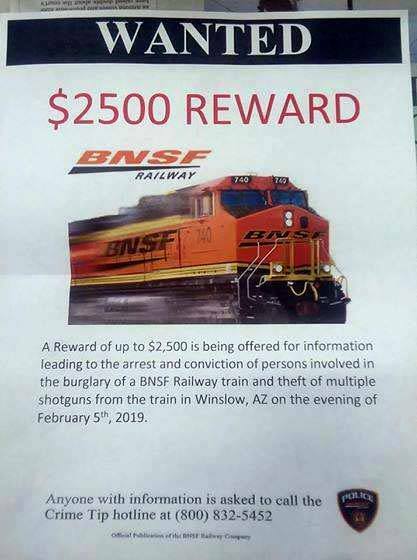 Shotguns stolen from a BNSF train in Winslow, AZ on February 5th, 2019 sounds like something from the wild west. If you know anything about this please call the tip like at (800) 832-5452. If your tip leads to the conviction of the persons involved you’ll not only be rewarded by Karma, but also $2500!